Lydia is a health and wellness expert in the eastern healing arts who enjoys working with students who are ready to make a commitment to finding balance and greater joy in their life through the ancient practice of tai chi and qi yoga. Students will learn how to create a total mind-body physical activity that is a perfect addition to any fitness regimen. At the studio, students have the opportunity for personal attention combined with group learning in a safe and supportive environment. Location: Benito Juarez Park. We use either the main or small basketball court. Monday Time: 9:30am – 10:30am. Wednesday Time: 9:30am – 10:30am. Friday Time: 9:30am – 10:30am. 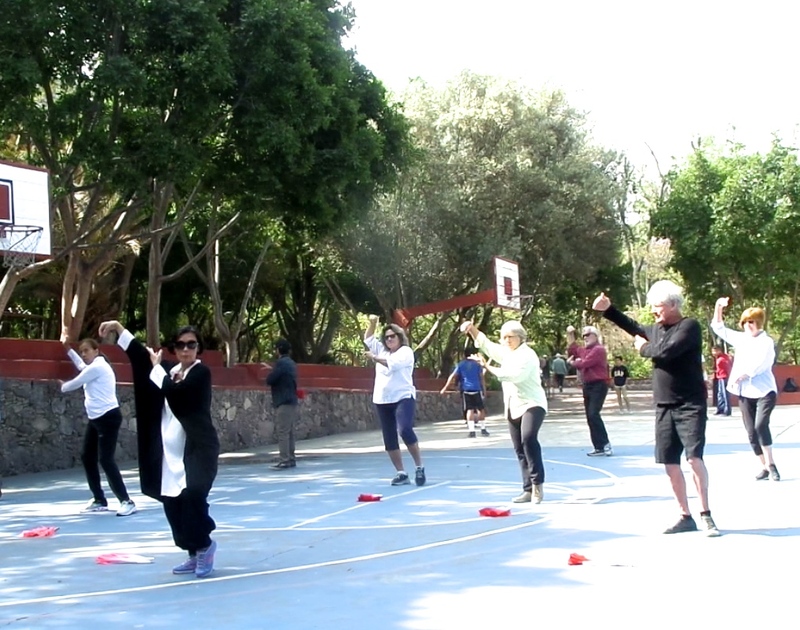 This musically guided practice designed by Lydia Wong is a total energetic workout starting with Qi Aerobics, followed by tai chi meditation in motion the key to relaxing while learning tai chi. Lydia’s unique workout will improve your posture, release stress and reset the mind and body with harmony, peace and joy. 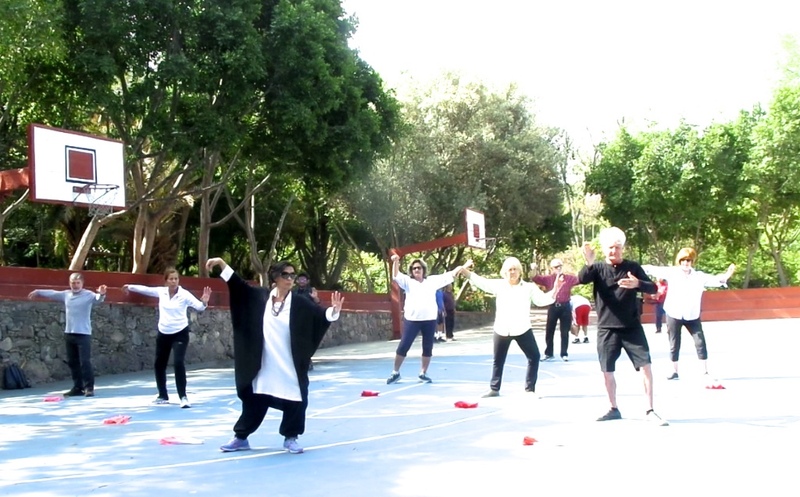 New students learn the healing aspects of tai chi over a course of 3-12 months while learning a short tai chi double fan form. Lydia’s unique teaching style, flow and Qi guidance will leave you feeling relaxed, uplifted, inspired with greater creativity and joy. Suitable for all ages. For Cultivating Oneness of Mind, Body & Spirit. n a private session at my studio you get 100% attention and better results with a personalized learning experience just for you!. 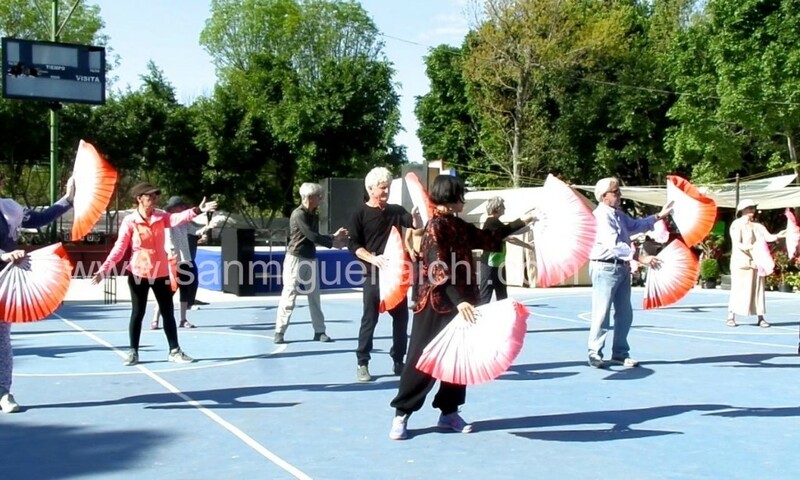 Tai Chi Studio, Moctezuma Calle 7. Pre registration by email with dates of attendance is required. This course is designed for students who want to experience and enjoy the Anti-Aging benefits of Tai Chi, Qigong and Tao Yin (chinese yoga). Get great results faster with personal attention from Master Lydia Wong in a small group setting at the beautiful Tai Chi Studio. Lydia’s unique and uplifting style will help you learn the essentials of tai chi faster and improve your mind and body fitness. Gua Sha Facelift and body therapy. Enjoy the many healing benefits of this ancient chinese massage practice. By simply increasing circulation and bringing blood to the surface of the body, you can increase your immune system resilience, reduce inflammation, look and feel younger with this natural therapy. Email Lydia for appointments. Fees: drop in, enquire about class passes. 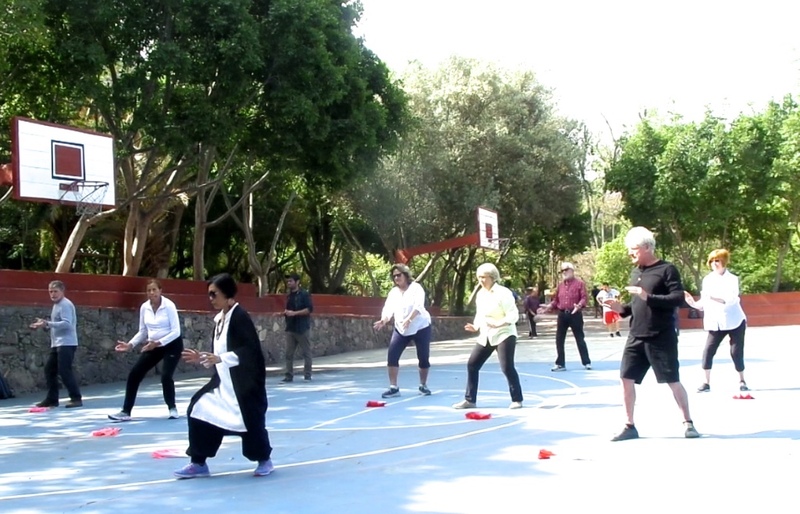 Spring into Health with Lydia Wong's Tai Chi in the Benito Juarez Park. M,W,F at 9:30am – 10:30amall welcome, no experience required. 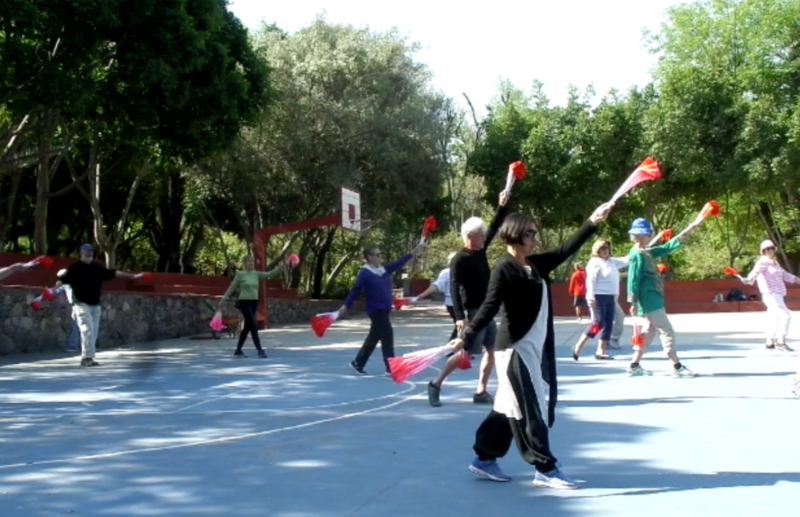 Lydia is a vibrant teacher with an open and helpful approach to tai chi, sticks, fans and all else she shares with her Students She is a delight to watch and move along with, reminding us of grace and beauty surrounded by the natural environment of Parke Juarez, Try it at least once! you’ll love it. I really appreciate the time you took to create this wonderful experience. I can’t say anything that would sufficiently express the gratitude I feel for having the opportunity to dance with you in the park. Your class created an oasis in which my body and mind could work together to find balance, to be in the moment, to breathe, to share positive energy and to connect with others. I’m encouraged to continue to practice the movements, including the cleansing, flow of energy and the mind/body clock exercises which I experience as a massage of my entire physical, spiritual, etheric and emotional body. Amazing! You are a gifted teacher, Lydia. You exude warmth, humor, and an acceptance of all your students that seems to draw everyone together. You create a lovely harmony of movement, color and sound. Your hospitality sends ripples of compassion through the community.